IMP formula disc rotor(brake disc) are specially to offer high friction, high temperature, tolerance and measuraly better performance across a range of high performance braking condition. It has exceptional stopping power with shorter stopping distance and resists brake fade at high temperature. 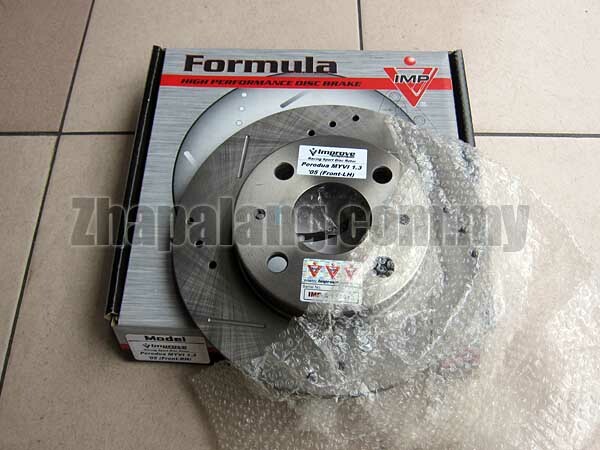 IMP formula disc rotor(brake disc) are totally responsive to your driving style and provide total control in all driving performance. Developed originally for use as Original Equipment (OEM) on high performance vehicle, they are ideal for energetic driving style, competition and high speed touring and freeway driving.